We have improved the e-signature process to make e-signing documents even easier for your parents and students/athletes. The initial release of e-signatures required parents to enable an e-signature with an email address for their child if they were under the age of 18. 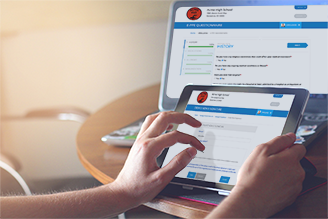 With this release, we have made improvements to the e-signature functionality to allow parents the ability to manage an e-signature for their students/athletes without having to create a new account. To enable this feature, please contact us. There are several areas where a parent will be able to help their student/athlete create an e-signature. Parents can access e-signatures from the manage accounts section, or they will be able to create their student’s/athlete’s e-signature after applying their own e-signature to documents. For more information, visit our Help Center here or contact support at 844.234.4357.